Isaya is one of Tanzania's most charismatic young leaders. Born in the remote village of Eluai in 1984 he was raised to become a Maasai warrior and chief, receiving no formal education. 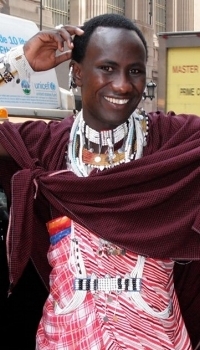 Isaya's establishment of Warriors' is a natural extension of his Maasai upbringing and experiences. He has spent countless hours developing and then implementing "big" ideas for his village: providing a way for village familes to access clean water; giving women the opportunity to earn money and a place in family decision-making; and providing over 30 young girls with the opportunity for a secondary school education previously denied them. Since 2010, Isaya has resided in Boston, MA where he is pursuing a formal education. He expects to complete his Associates degree in the Spring of 2018 and then matriculate to a Boston university. Martha has been making, selling and teaching others how to make beaded jewelry for years, always wishing she could find a way to benefit others with these skills. Then she met Isaya. From him, she learned that the Maasai women of Eluai Village wanted to learn more beading techniques to better market their jewelry. With that small bit of information, she sprang into action. With Isaya and his wife, Kat, she visited Eluai, introduced the Maasai women to new beading techniques, learned how to design Maasai jewelry herself, and made amazing new friends, in spite of the language barrier. Upon her return, she joined Warrriors. She sees Warriors as an organization that can help change the lives of the Maasai as well as the volunteers who work with Warriors. 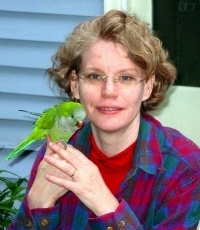 Dr. London has authored and produced nearly twenty professional papers and publications on topics as varied as Building Community by Making Compassion Accessible, and Student Workbook for Understanding interpersonal Communication\, to The Construction of Realty through Language: Women Living with Multiple Sclerosis. In addition, Applied Communication for Community College and Beyond is her first textbook due out August, 2018.